DBAUSA | New Mazda RX7 set for 2017 Release! 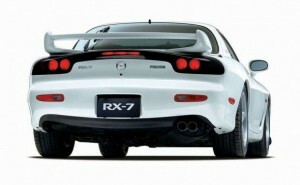 News / New Mazda RX7 set for 2017 Release! Mazda has been using the rotary engine since 1967 on their sports models. Since then, the RX7 has been the flagship hero for the brand, even after the RX8s launch; (keeping in mind that the RX8 was never intended to be any kind of RX7 successor as many believed it to be). As production for the RX7 officially ended in 2002, many of us felt disheartened that the latest ’02 model was built exclusively for the JDM… not that it stopped anyone from obtaining one if they really wanted it, of course. So as the model lay dormant for 10 years, does the legacy hold enough gumption for a come back… potentially with a new generation? Well apparently, all the rumours have come to an end with Mazda’s announcement of the new Mazda RX7 model expected to be launched in 2017. Due to the popularity of the vehicle, this news has already sparked Mazda RX7 fanboys to already begin making (verbal) bookings. Mazda has been noted to announce the new RX7 models will be released in 2017, specifically to commemorate 50 years since the launch of the Mazda Cosmo Sports models use of the rotary engine. This announcement has steered up lots of anxiety since each RX7 model has its own camp of die-hard fans, and expectations are rarely ever met. On top of that, Mazda has made announcements in the past that never followed through – could this be another? With four years till the supposed launch of the new RX7, Those who are confident of its release, have already started saving! Hopefully the new model can boost the racing spirit in Australia, specifically those from the Mazda camp. Despite the RX7s long absence in the racing world in regards to updated models, you can expect stiff contention when 2017 comes, bringing a whole army of aftermarket parts with it. We could use this space to state all the rumours of lightweight materials and new engine specs… but we think its best to wait for pure hard facts to come in from Mazda’s press room. So for those who have started to save up? What kind of money are we talking here? 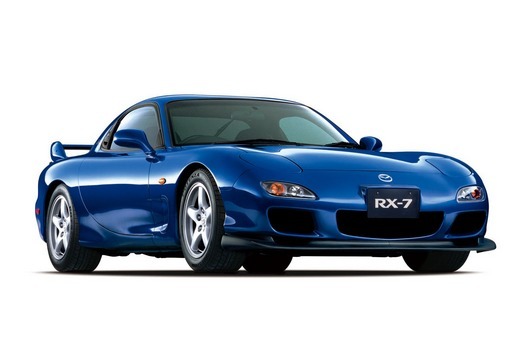 Well apparently, according to Mazda’s sports car chief, Nobuhiro Yamamoto, at a recent conference, he says the RX7 has and will always be a premium product with a price tag to exceed cars like the 370Z.